We consider this student stack chair to be the premier stack chair - essential for every school and classroom setting. This ergonomic stack chair provides a comfort-formed back and contoured waterfall seat set upon a durable metal frame. This versatile chair is ideal for both indoor and outdoor settings. With the ability to quickly store the chairs, it allows for the space to be used again for other purposes or when cleaning is needed. This heavy duty plastic stack chair is sturdy in construction to withstand regular use and frequent stacking. Modern STACKING CHAIRS in TAN/CAMEL PU Leather - for office, training, boardrooms, canteens, community centres and home. 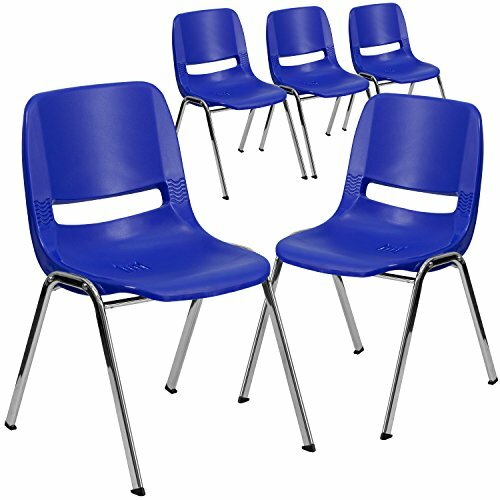 Sold in a (PACK of 4) chairs.